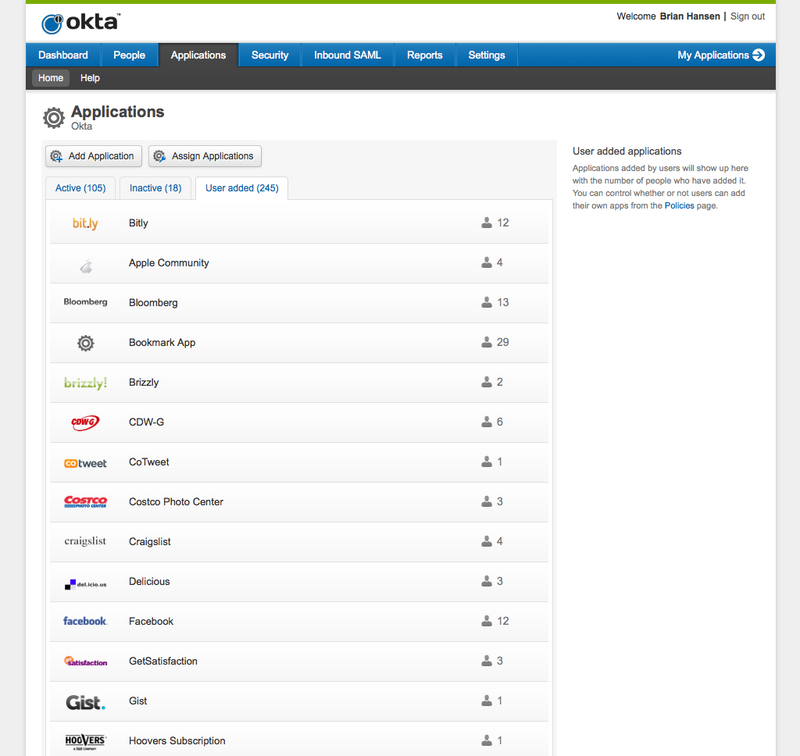 Okta (more coverage here) is this morning announcing a new self-service capability built upon its own Okta Application Network,a pre-integrated package of multiple business and consumer applications in one hit. The idea here is that enterprise IT organizations will be able to publish their own custom application catalog and then end users within the organization will be able to both discover the applications and get single sign on access to the cloud apps they need. It’s kind of like an enterprise Google Apps Marketplace, with out the duplication of four million different social CRM options. It’s also a nice compromise between giving end-users access to an entire world of applications, and having IT lock down access and thereby make application use highly inflexible. It allows a progressive enterprise IT shop to do due diligence on a quiver of different applications and then enable their end users to access those apps quickly and easily. The SSO space seems pretty busy – with vendors rapidly innovating and following each other’s innovations. While I’m totally aware of the value that SSO brings to an organization, I’m looking forward to a degree of consolidation occurring in the marketplace.